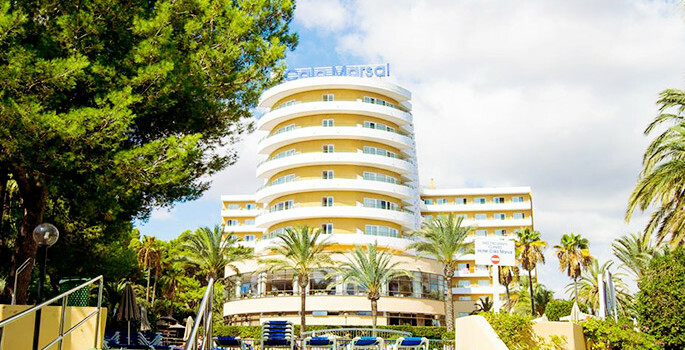 The Hotel Club Cala Marsal is situated just in front of the beach of Cala Marsal, in Protcolom. 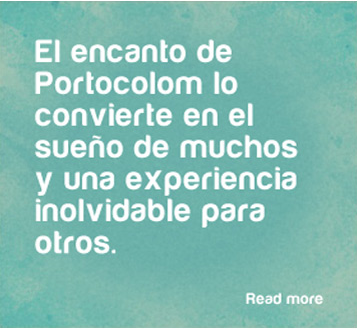 The hotel has 137 rooms, all equipped with all amenities to make the customer feel at home. Proa rooms have spectacular views and are more spacious. They offer all kinds of services such as restaurants, bars, swimming pool, children’s entertainment, sports, etc.. Rural path for jogging / cycling / walking. Two freshwater swimming pools (adults / children). Tennis court / 7-a-side football / basketball / volleyball.